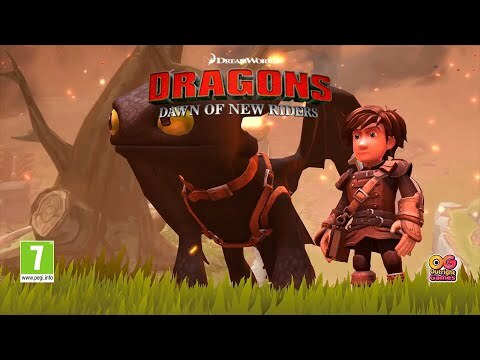 Worldwide video game publisher, Outright Games, today announced it has partnered with Universal Games on its newest title, DreamWorks Dragons Dawn of New Riders, which introduces a new story in the popular DreamWorks Dragons universe. Players will join the new heroic duo, Scribbler and Patch, in an epic battle to save the dragons and defeat a new villain, Eir, who is forcing dragons to carry out her evil plans. They’ll clash against fierce enemies, explore new and familiar locations and interact with fan favourite characters in this fun and fiery action adventure. Dragons: Dawn of New Riders was released on PC, PS4, Switch and Xbox One 67d ago in the US and the UK. Notify me when Dragons: Dawn of New Riders is available.